LAST ONE out of 6 Units! Get it before it is gone ! 6 MONTH WARRANTY 30 Days money Back Guarantee from Ebay Top-Rated-Plus seller. Excellent Condition.
. If you have any technical questions you can reach us at 161O9O5251O Thanks. 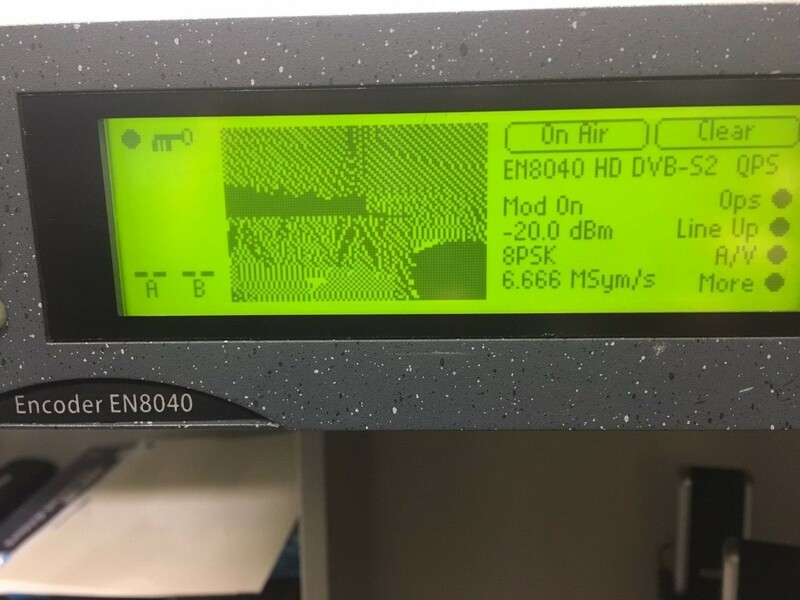 We have other uplink equipment please look in to our other ebay uplink encoder antenna listings for more HPAs, SSPAs, Upconverters, Encoders , Antennas and complete Uplink trucks call us +16109052510 ( WhatsApp number) for more technical info. Thanks for looking.